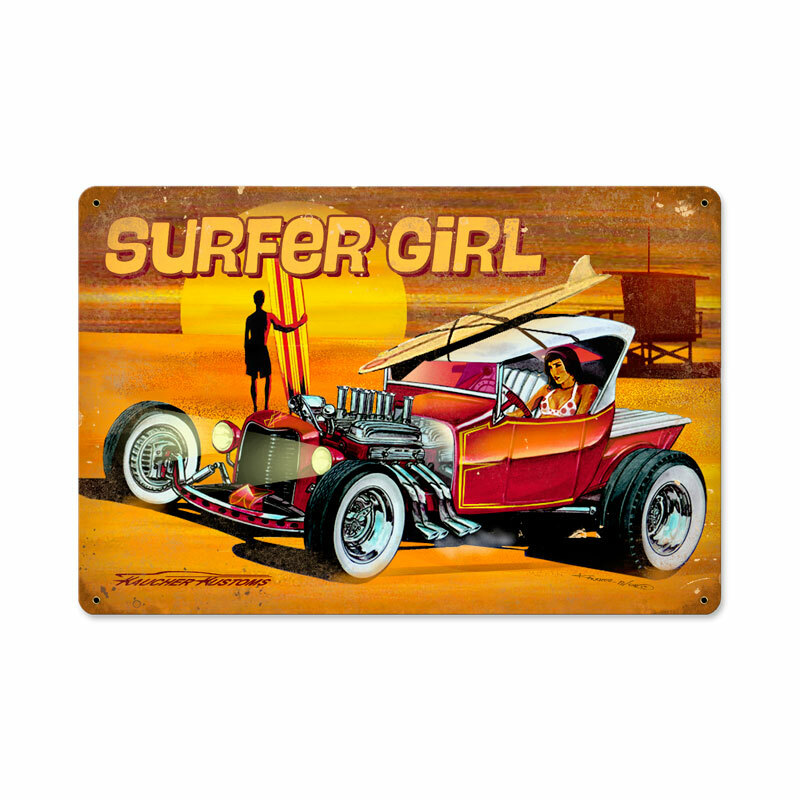 Amazing looking surf sign, featuring the surfer girl of your dreams, a sunset, and a hot rod. Powder coated, great graphics. 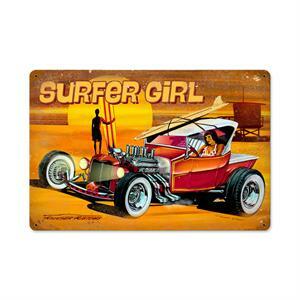 Perfect for around the hot tub, beach house, garage, or pool.